With GM on the ropes, it might not be that much longer that some of the notorious brands under the GM nameplate go the way of the Do-Do bird, but that is what it looks to be in the next few years. However, for those that have always liked the styling, reliability and functionality of the Buick name, there are a few vehicles that they make that are definitely worth owning. One of them is their 4×4 SUV that is not only full of capability, but also offers nice styling. New for the 2009 model is a nice, more powerful engine that is not only quite capable in this SUV, but also a little more efficient for those that require this SUV to commute and transport the family around town. The engine is a 3.6 liter V6 that offers a lot of horsepower – 288. It should also be noted that mated to this engine is a six speed automatic transmission that offers comfortable gear shifting and some fuel efficiency. There are 2 trim levels for the Buick Enclave, they are the CX and the CXL, both offer the same engine and even come with front wheel drive or all wheel drive transmissions. If you are looking for plenty of seating capacity, the Buick Enclave seats up to 8 people and while it offers two bucket seats for the front, the extra two rows can come in slightly different configurations. If you have bought a Buick before, you probably already know that the ride is quite nice and comfortable. 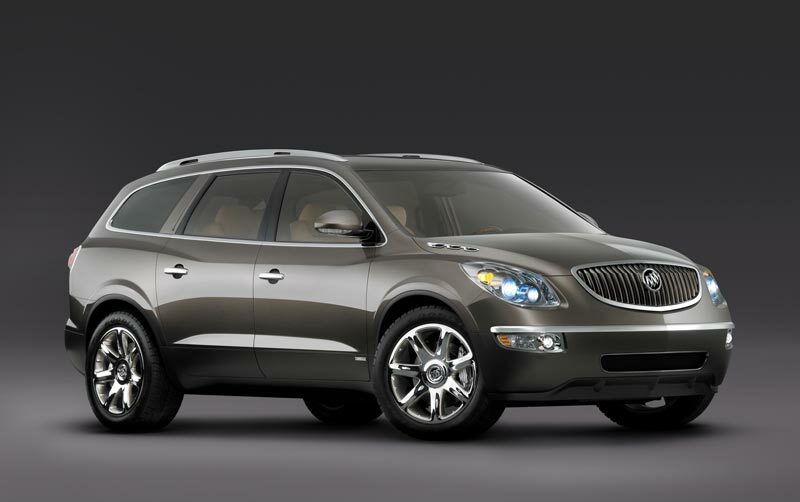 The Buick Enclave continues this tradition and offers a pleasant ride, good performance and of course the higher seating that many that buy SUV’s love. The Enclave sells for about $32K to $40K and delivers a respectable 24 mpg on the highway.